The year of 2019 will be a crucial time for China and ASEAN members to work out a foundation to deliver tangible results for negotiations on the Code of Conduct (COC) in the South China Sea so that the hard-won tranquility will stay for good in the region and there will be more ecological and economic cooperation. As of Monday, a total of 16 senior officials' meetings and 26 joint working group meetings have been held for COC negotiations, covering prevention marine risks and a list of "important and complicated issues," read a Monday article published by Haikou-based National Institute for South China Sea Studies (NISCSS). As intensity in the South China Sea dims, the focus is now driven by COC negotiations instead of confrontations and a war of words, Chinese military and international relation observers said Wednesday. Negotiations are the only way to solve problems as countries involved will surely have different and conflicting demands, they said. The latest demands come from Vietnam, which said it wants to prohibit China from building artificial islands and deploying weapons, among other demands, Reuters reported on Monday, citing an alleged negotiating draft of the COC. 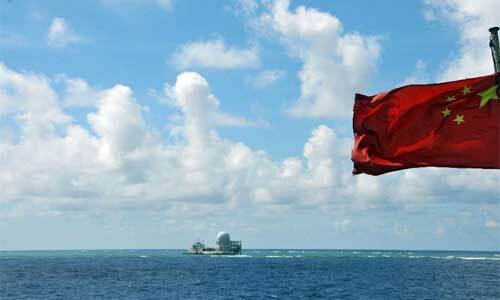 However, such issues, as well as those of missile deployment and air defense identification zone are unlikely to be included in negotiations in the first quarter of 2019, Chen Xiangmiao, a research fellow at the Hainan-based National Institute for the South China Sea, told the Global Times on Wednesday. Experts also predict that other countries that have disputes with China, such as the Philippines and Malaysia, will also voice their demands in the negotiations and 2019 will be a chance for those countries to maximize their consensus and promote cooperation. "Conflicts are bound to happen revolving around these different demands, but that is why we need negotiations to find compromises," Chen said, noting that China will remain firm to its position of safeguarding its sovereignty and territorial integrity. China expects to finish negotiations on the COC in three years, Chinese Premier Li Keqiang said at the ASEAN Summit held in November in Singapore. Liu Feng, director of a research center on the Philippines under Hainan Normal University, told the Global Times on Wednesday that 2019 will define the tone and direction of the three-year negotiations, and how far the COC could reach to maintain the peace in the South China Sea. The negotiations on key issues will take place in 2020 and be finalized in 2021, said Liu. Echoing Liu, Chen noted that the negotiations will focus on fundamental issues like the COC's geographical scope of application and whether the document is political or legal in nature. Besides efforts to maximize consensus, another crucial mission for countries in the waters is to eliminate interference from countries outside of the region, said Liu. Analysts also noted that some countries might borrow strengths from the US to intensify its own demands, warning that bilateral military actions with the US should be avoided in the South China Sea. The Pentagon's top Asia official has urged Australia and other US allies to boost their military presence in the South China Sea to send a signal to China, The Australian newspaper reported on Wednesday. In late February, Australia's then defense minister Marise Payne said the country had made a "quite significant increase" in its military presence in the South China Sea and elsewhere in the region during the previous 18 months, including exercises and port visits with Japan, South Korea, Indonesia and The Philippines. The COC should include articles to restrict military actions in the region from countries outside of the region, said Chen. China and ASEAN members have been interacting frequently and are in a far less tense situation compared to the past, experts noted. Naval forces from China and ASEAN members, including over 1,200 officers and soldiers, concluded a weeklong joint maritime drill in the city of Zhanjiang, South China's Guangdong Province in October. The drill marked the first time ASEAN members conducted a joint military drill with a single country and also the first time the People's Liberation Army conducted a maritime drill with the bloc. Chinese President Xi Jinping went on a seven-day Asia-Pacific trip in November, during which China lifted its relationship with Brunei to a strategic cooperative partnership and its ties with the Philippines to a relationship of comprehensive strategic cooperation, Xinhua reported in November. In the China-Brunei joint statement released during Xi's visit, both sides reaffirmed their commitment to maintaining peace, stability and security, and the importance of continuing exercising self-restraint by all parties concerned and the promotion of mutual trust and confidence in the South China Sea. In the China-Philippines joint statement, both sides agreed to exercise self-restraint in the conduct of activities in the South China Sea that would complicate or escalate disputes and affect peace and stability. Chen said these have set up an excellent atmosphere for the COC negotiations, and are good counters to outside interference. Chinese State Councilor and Foreign Minister Wang Yi said at the China-ASEAN foreign ministers' meeting held in August 2018 that facts will prove that China and ASEAN members are capable of maintaining peace and stability in the South China Sea and reaching regional rules adhered to by all through negotiations. China and ASEAN members arrived at a single negotiating text draft for the COC in August, which will serve as the basis of future COC negotiations.